It's not my birthday, but it's always the right time for happy festive glitter! And of course you know what I'm talking about - Lippmann Collection's Happy Birthday! 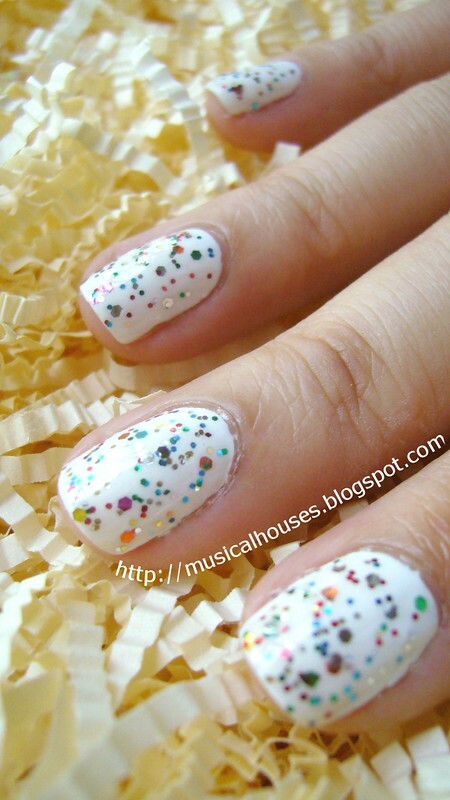 Lippmann Happy Birthday is a multi-coloured, multi-sized glitter in a clear base. 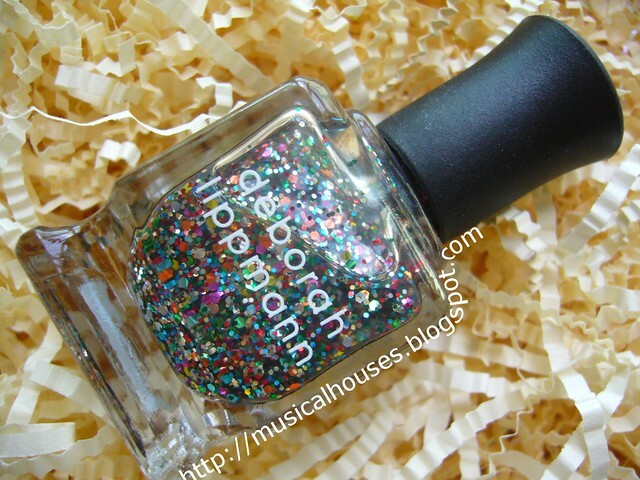 And Deborah Lippmann has clearly pulled out all the stops making this one. The beauty about Happy Birthday is that although there is so much colout in that one tiny bottle (pink, orange, green, blue, silver, yellow), the end result is pretty and festive without being overwhelming. There are so many ways you can wear Happy Birthday (alone, layered, jelly sandwich-ed) but the classic look for Lippmann Happy Birthday, if there is one, is layered over a white base. So here's one coat of Happy Birthday over two coats of Wet n' Wild White. Happy Birthday had good application. The glitter does tend to pool in some places so a little work is needed to ensure it lands more evenly, but otherwise I've no complaint. Now, I bet you're wondering about how to get a bottle of your own free. Well, if you're in Singapore or nearby (Malaysia, Indonesia or Hong Kong), Luxola is currently running a promotion whereby if you spend at least $50 at their store, you can get a free bottle of Happy Birthday with your order! Lippmanns aren't cheap (they cost $33-35), so how awesome is that? And Luxola currently also has a sale going on too, with some really good deals too! And for my Singaporean girls, there is free next day delivery too, right to your doorstep, so that's definitely a plus! The promotion runs only for this week, so don't wait to pick it up! You can check out the Luxola site here. This completely reminds me of OPI's Its All About The Glam from their Kardashian Kolor range - complete dupes of each other, although I'm not sure which one is cheaper lol. @Dewa: I think you mean Rainbow in the S-Kylie, not It's All About the Glam? But you're right, they do look similar. Happy Birthday is my kind of polish. I would like to see it as the main color over a neutral nail. This is such a pretty polish!